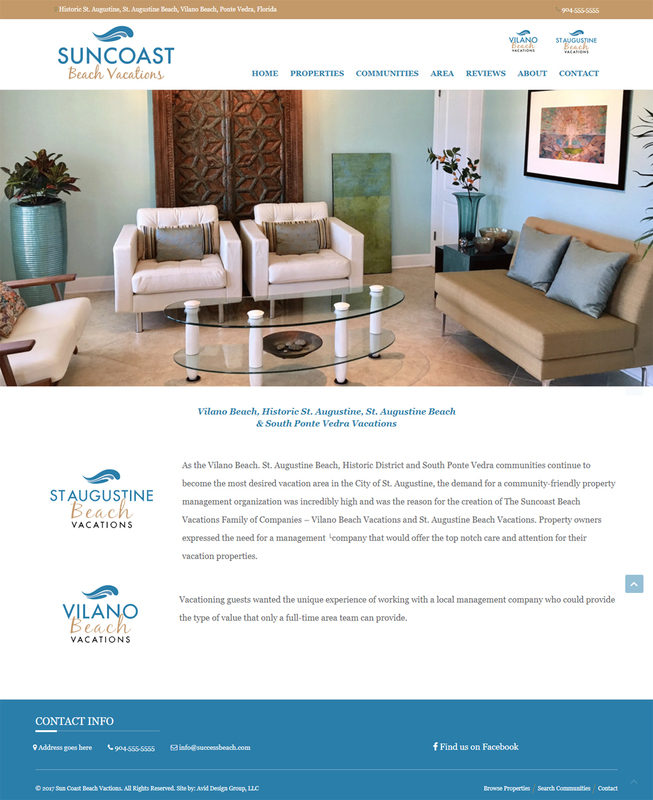 Avid Design Group, LLC would like to announce three new website design and development projects that were recently launched for our clients; The Arc of the Big Bend, High Tide Roofing & Waterproofing, Inc., and Caribbean Reps. Avid Design Group is a full service St. Augustine website design, print design and marketing agency serving clients throughout Florida and well beyond! The three websites featured in this Blog post are each uniquely custom designed based on the visual layout and content presentation required to appeal to the targeted website visitor for each company. Each website is programmed in the WordPress platform allowing each site to be maintained by the client through a content management system (CMS) and appear as “mobile friendly”, thus meeting the Google mobile friendly search algorithms. The Arc of the Big Bend is a non-profit organization located in Madison, FL that provides life skills development, school to work programs and employment placement services to individuals with intellectual and developmental disabilities (IDD). The website offers in depth information on each of their services and how you can help support their organization and mission. Click HERE visit the website or visit www.TheArcBigBend.org. 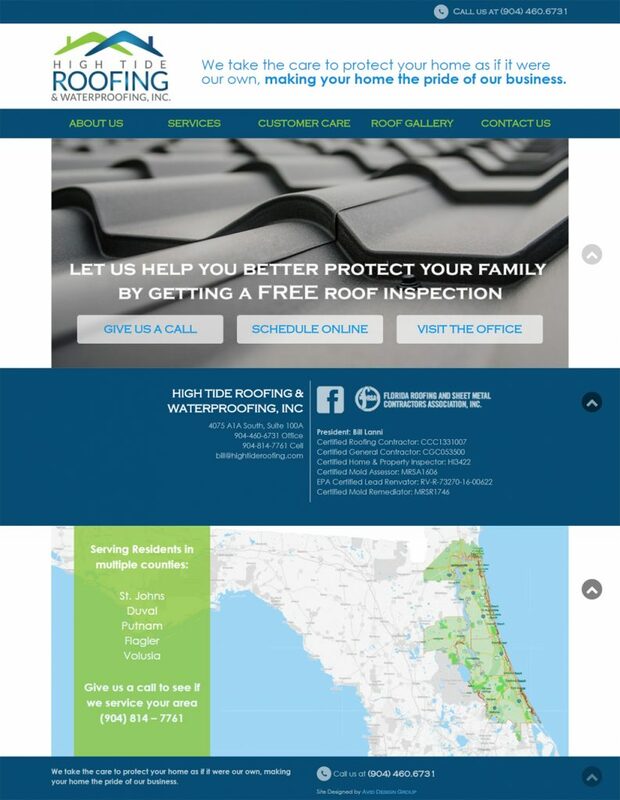 High Tide Roofing & Waterproofing, Inc. is a recently started new roof installation, replacement and repair services company started by well experienced general contractor and builder Bill Lanni. Located in St. Augustine, FL, High Tide Roofing services all of the northeast Florida housing and commercial market. The website offers information on their roofing services, warranty’s, and a gallery of completed projects. 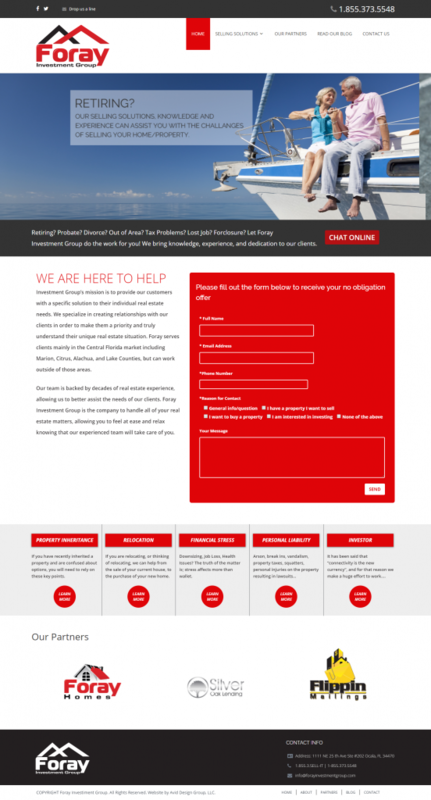 You can visit the complete website by clicking HERE or visiting www.HighTideRoofing.com. 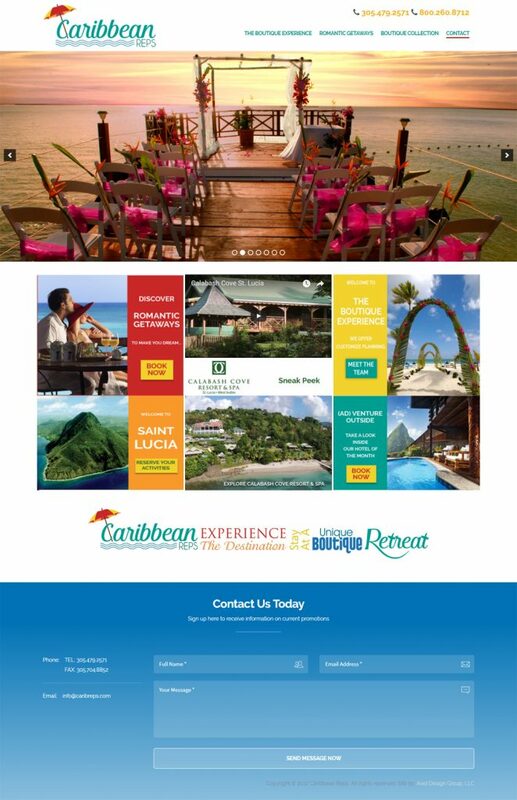 Caribbean Reps is a “boutique” destination planning services company serving clients interested in event planning, such as Honeymoons, Destination Weddings, and Family Reunions, targeted in the Caribbean Islands. The website offers information about their services and the beautiful destination locations they work with to serve their client’s needs. You can visit the complete website by clicking HERE or visiting the site at www.CaribReps.com. 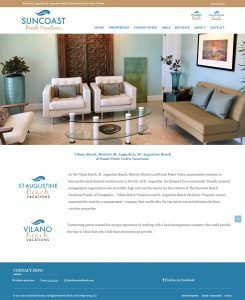 Avid Design Group, a full service website design and development agency located in St. Augustine, FL would like to announce on our Blog the launch of two new website projects for our new clients at All 3 Electric, Inc. and Foray Investment Group. Each website has been custom designed and programmed in WordPress to meet our clients unique needs in presenting the professionalism and services of their business. They are programmed with responsive design being mobile friendly and offer the client the option of making on-page changes through each site’s content management system. All 3 Electric are located in the St. Augustine area, being licensed in and serving 4 states throughout the Southeast United States. They provide electrical contracting and engineering services to residential, commercial and industrial clients. You can view the completed website by clicking “HERE” or visiting www.All3Electric.com. Website homepage image for All 3 Electric, Inc. Foray Investment Group is a real estate services and investment firm located in Ocala, FL, serving the greater Central Florida area. This first generation website for the company offers detailed information on their selling solutions, partners, and provides resources in the real estate market. 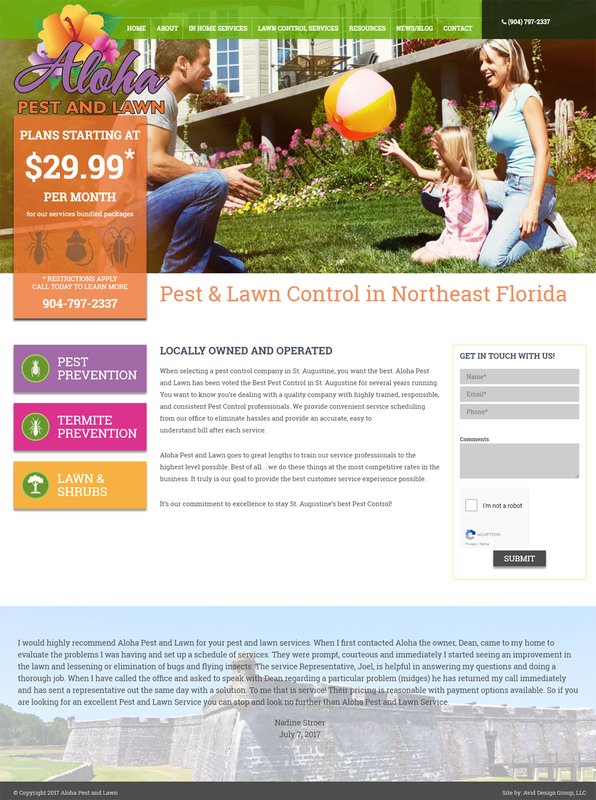 You can view their completed website by clicking “HERE” or visiting www.ForaySellingSolutions.com. 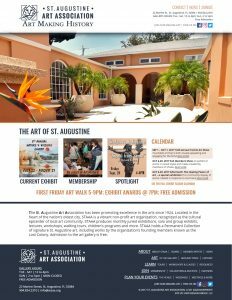 St. Augustine website design agency and graphic design agency Avid Design Group recently launched two new websites for Cellar 6 and The Training Loft. 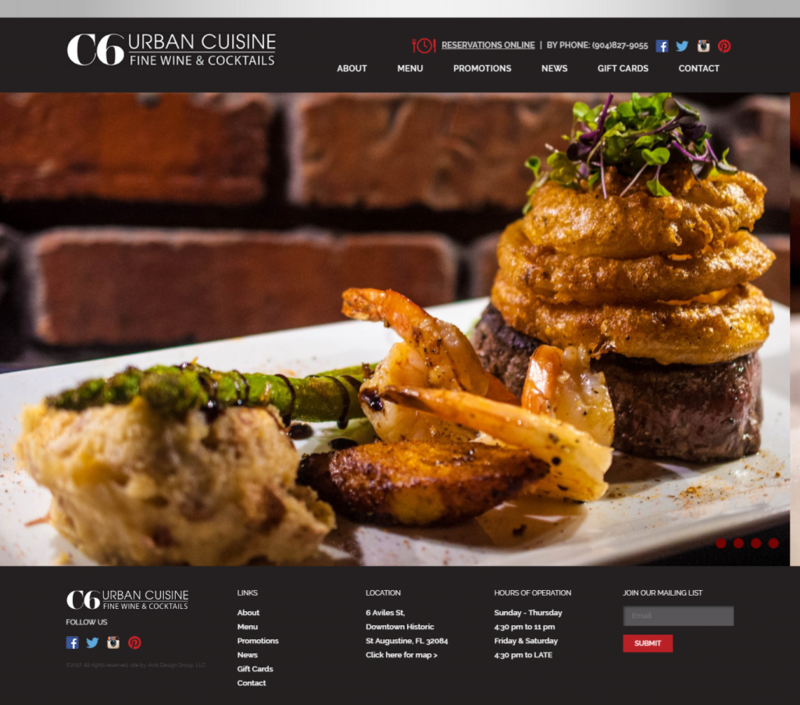 Cellar 6 is an urban cuisine restaurant and fine wine and cocktails bar located in downtown historic St. Augustine, FL. The restaurant was looking to replace the previous website designed and developed by Avid Design Group in order to keep the design fresh and unique for the trendiness of an upscale restaurant. Avid Design Group worked with the owner Craig Cole to come up with a very classy design that expresses the ambiance of the restaurant. 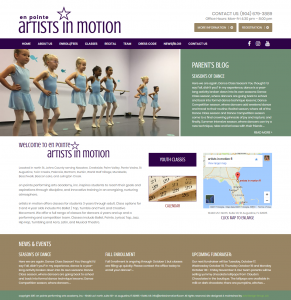 The website is custom designed and programmed in WordPress. 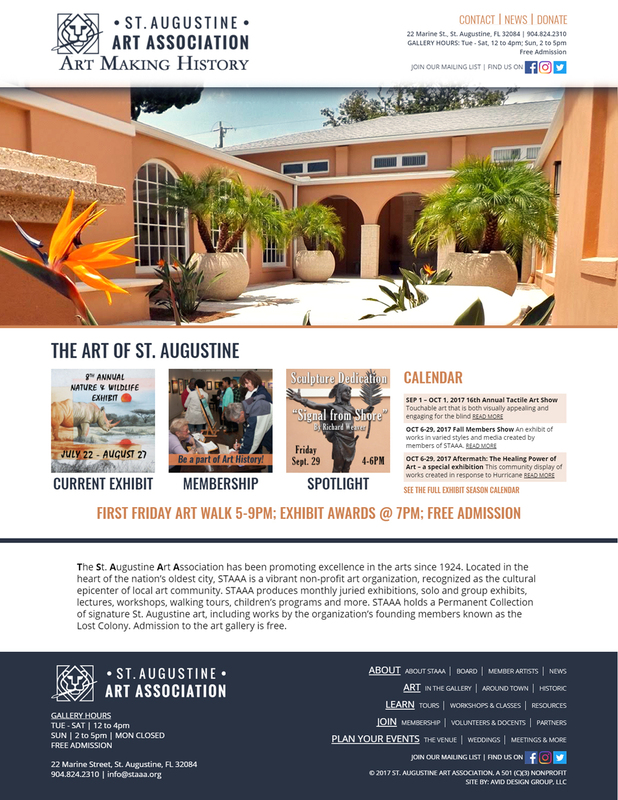 You can visit the completed website to learn more about Cellar 6 by visiting www.Cellar6StAugustine.com or clicking here. The Training Loft is a fitness studio located in St. Augustine, FL, offering a variety of training options in a newly renovated 4,000 square ft. facility. Owner Megan Brubaker CSCS opened the facility in the first quarter 2017 and needed a website to compliment her marketing efforts in promoting the training facility and having an availability of information on their services, trainers and facility on the Web. The website is a WordPress programed site, custom designed in adherence to the established brand and to visually promote the culture of the gym. 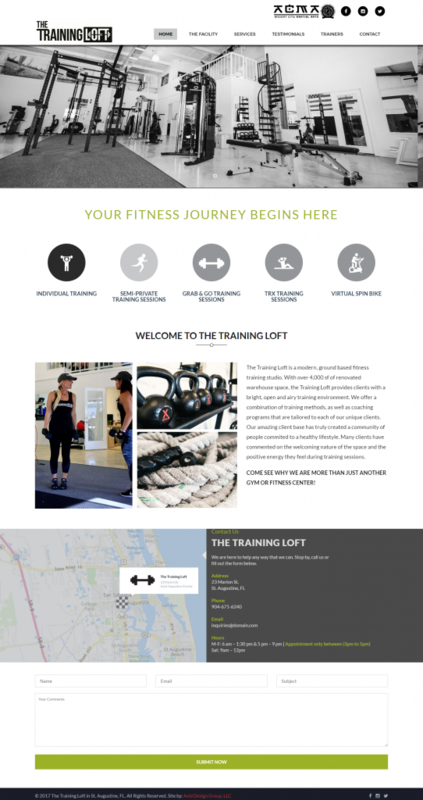 You can visit the completed website and learn more about The Training Loft’s services by visiting www.TTLFit.com or clicking here. 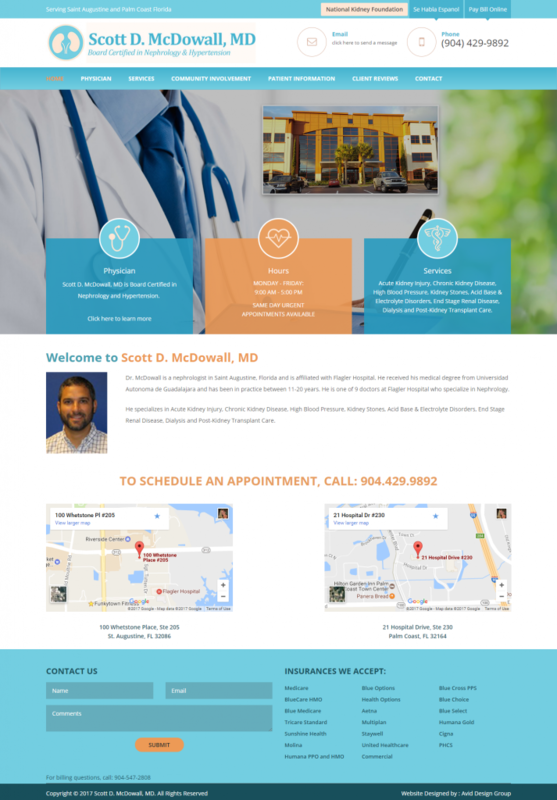 Avid Design Group, a full service graphic design and website design agency located in St. Augustine, FL, is happy to announce the recent launch of the all new website for our long time client EPIC Behavioral Healthcare, and a new professional to our client family Scott D. McDowall, MD. The new website for EPIC Behavioral Healthcare provides a wealth of information about the substance abuse and mental health services provided to the residents of St. Johns County. Within the website, the visitor can learn about the organization and available informational resources, counseling, prevention and recovery treatment options, how you can help fulfill their mission, and much more information. You can view the complete website by visiting epicbh.org. 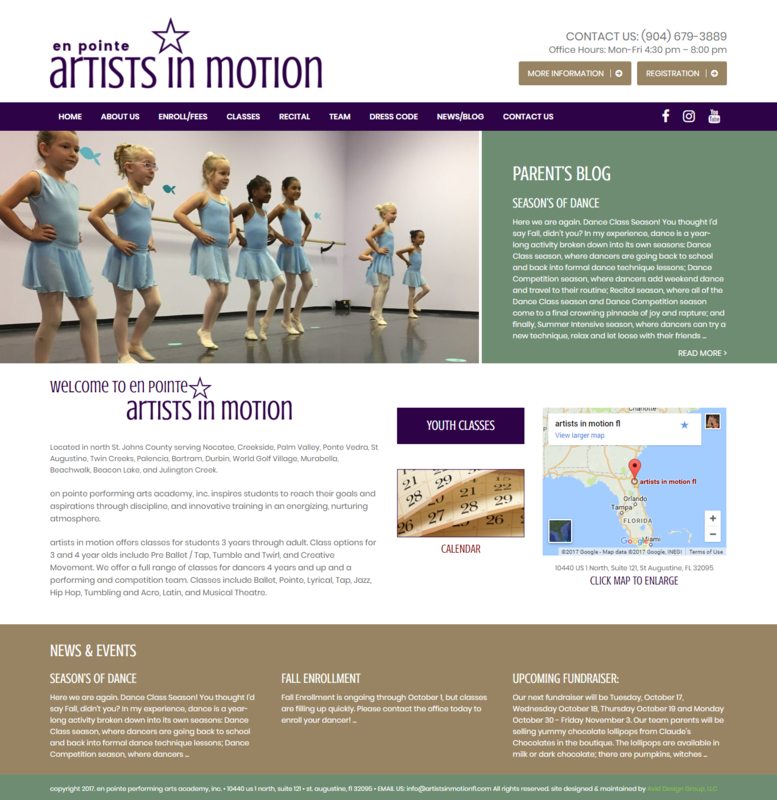 The other website recently launched by Avid Design Group is for Scott D. McDowall, MD. Doctor McDowall is a board-certified nephrologist practicing in two locations within the St. Augustine, Florida area. The new custom designed, WordPress programmed website features information on Dr. McDowall’s qualifications, his hypertension and nephrology medical services, community involvement, patient testimonials, and other time saving and valuable patient information. View the completed website at ScottDMcDowallMD.com.